Click on hourofcode.com to learn more about this week's (December 4th-8th) national event for students and adults across the world. 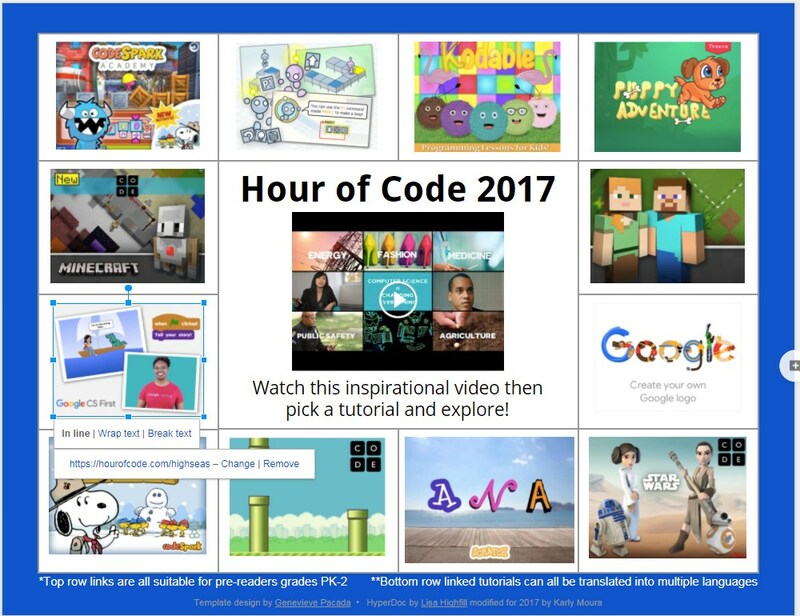 Click anywhere on the Hyperdoc below to access the different Hour of Code apps. See http://code.org/learn for more ideas and programs to encourage your children's interest in programming and computer science.